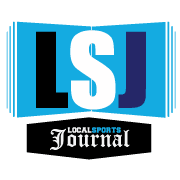 MUSKEGON TOWNSHIP – The Mona Shores boys team hasn’t won a game in the Muskegon Area Sports Hall of Fame Holiday Basketball Classic since 2007. That’s largely because the Sailors hadn’t played in the event since then, until Thursday. Unfortunately their return to the Classic didn’t turn out they way they hoped. 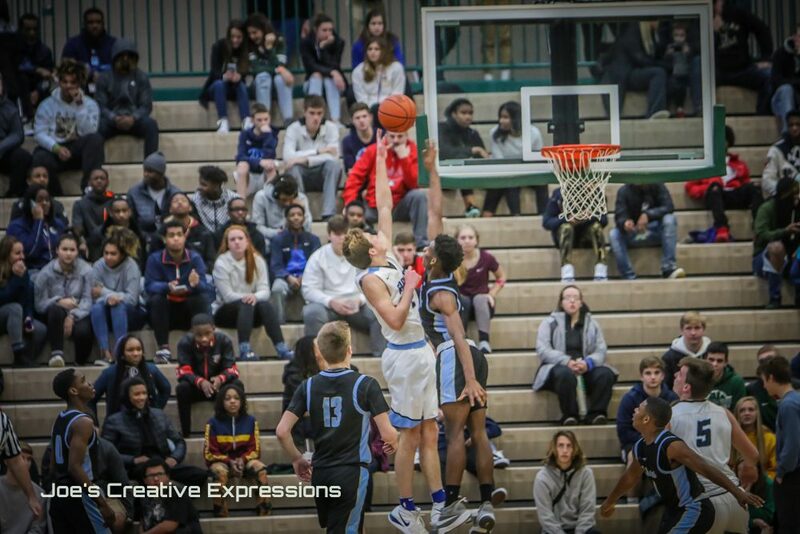 The Sailors made the game interesting down the stretch, but dropped a 59-48 decision to Grand Rapids Christian at Reeths-Puffer High School in the first game of a prep basketball holiday tripleheader. 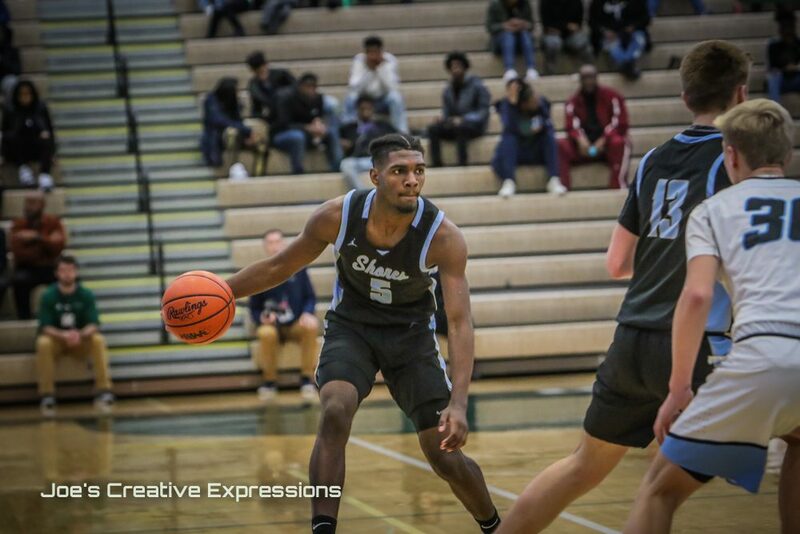 But the Mona Shores squad still appreciated the chance to return and play in front of a big local audience, along with two other local teams, Muskegon and Reeths-Puffer. Things started out sluggish for both teams on Thursday. The first basket, from Da’Varius Carter of Mona Shores, came nearly two minutes into the contest. But things heated up over the final six minutes of the quarter and the Eagles led the Sailors 13-7 at the first buzzer. 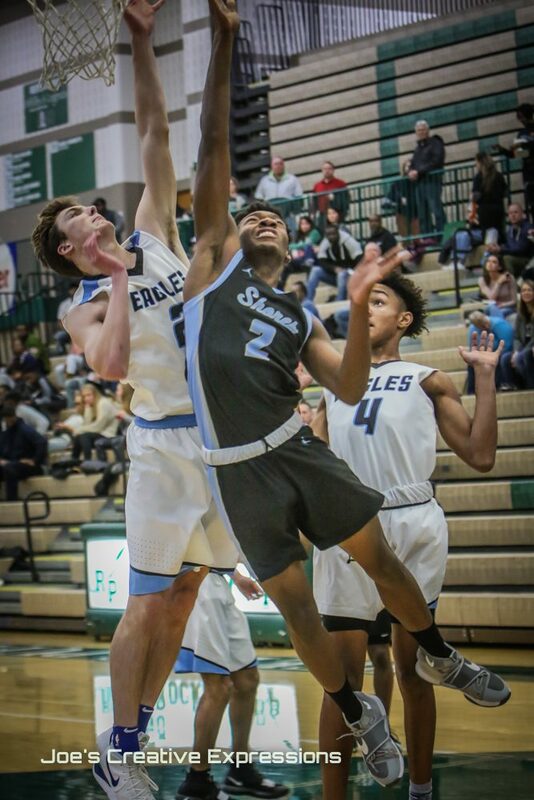 Carter led Mona Shores with four points in the quarter while the Eagles were led by sophomore Kobe Bufkin with five points. The Sailors battled tough in the second quarter, but GR Christian ended the quarter with an 11-5 run and led 26-18 at halftime. 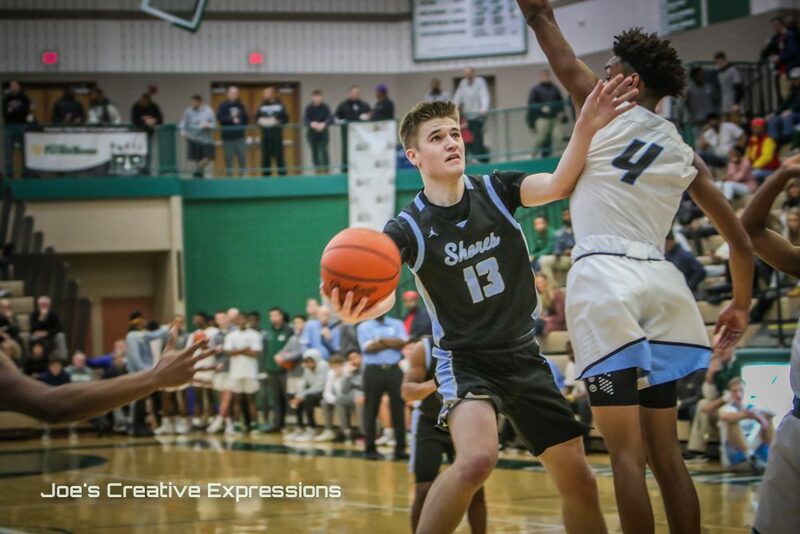 Mona Shores’ James Gilbert showed off his offensive skills in the third quarter, tossing in 13 points, but the Sailors still trailed 47-34 going into the fourth. But Mona Shores did not go away. The Sailors collected six points from Gilbert, four from Carter and two from Ben Rosenthal in the first five minutes of the fourth quarter, and cut the Eagles’ lead to 51-46 with 3:05 remaining. But Grand Rapids Christian sealed the win with an 8-2 run over the final three minutes. 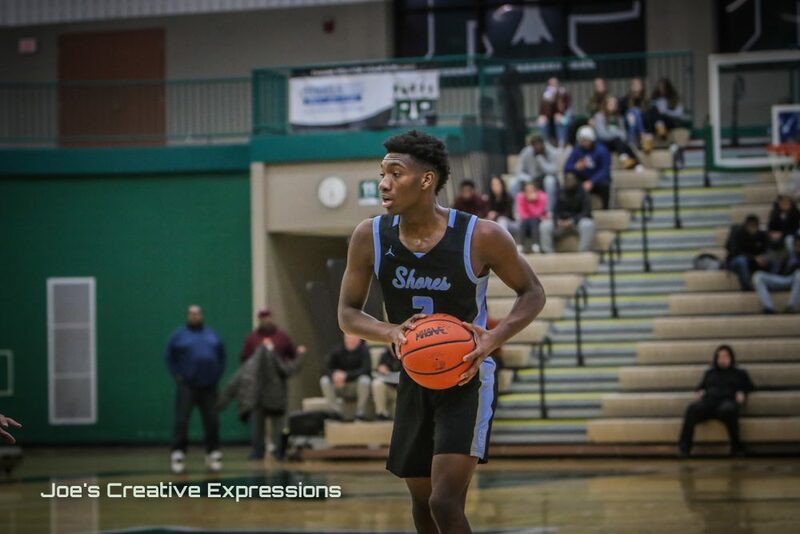 Gilbert led Mona Shores with 28 points while Carter finished with 10. Grand Rapids Christian was led by Bufkin with 16 points and Marcus Haverman with 15 points. With the loss Mona Shores falls to 1-5 on the season, but Chana is happy with how the team is coming together.